Your hair will fall in love with Macadamia Oil Mask, and you, with the incredible touch and feeling of smooth strands. The noblest of nuts in its most powerful version. Your hair will fall in love with Macadamia Oil Mask, and you, with the incredible touch and feeling of smooth strands. With a powerful formulation, it gives back the natural oiliness to the hair and hydrates the hair fibers to the tips, making the strands very silky, with a sensational shine. 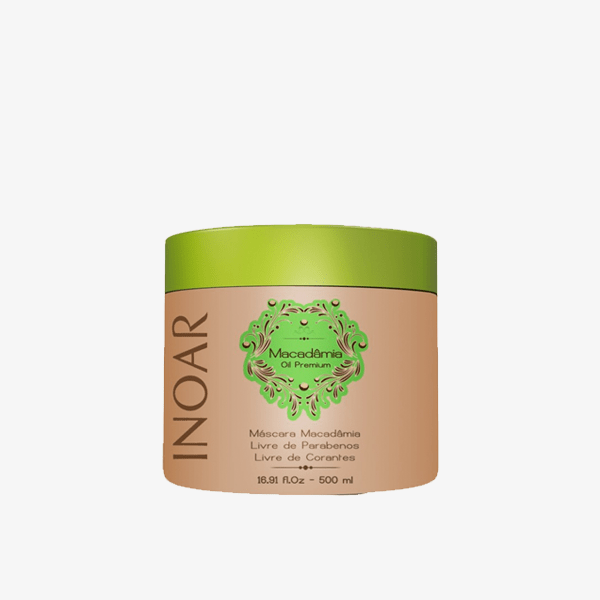 Its high concentration of macadamia actives promotes an intense treatment of high emollient and moisturizing power, leaving the radiant wires, always disciplined, without frizz, more malleable and healthy yarns ready for real life. Its unique macadamia-based formula ensures it. Hair extremely hydrated and soft. After washing with Macadamia Oil Shampoo, rinse and remove the excess water with a towel. Spread Macadamia Oil Mask, involving strand by strand. Let it stand from 15 to 20 min. Rinse it completely and finish as you wish.